Prior to the establishment of the first Zales Jewelry store, gold, diamonds, and other precious jewelry items were mostly out of the reach of the everyday workingman. It was the Zale brothers’ goal to offer quality jewelry products at affordable prices with easy credit terms. Suddenly, everyone could afford to buy fine jewelry and the Zale Corporation grew and prospered. The Zale brothers, Morris and William, were pioneers in retail credit with their innovative “penny down and a dollar a week,” layaway program. In time, the Zale Corporation began to insure its own credit accounts and established three insurance subsidiaries, Zale Indemnity Company, Zale Life Insurance Company, and Jewel Reinsurance Limited. These three companies were formed to provide insurance and reinsurance coverage for a variety of programs. In 2010, more than 35 percent of Zales’ customers purchased credit insurance through the Zale Insurance organization. Through T D Financing Services of Canada, Zale Corporation now provides its Canadian customers with private company credit cards. Zale and TD Financial Services recently inked a five-year agreement for these services, which is both advantageous and highly profitable for these two companies. The Zale Indemnity Company can also be reached at the same address. A.M. Best rates Zale Life as good, “B+,” for financial strength and gives Zale Life a “bbb-” credit rating. Both ratings are considered to be stable. 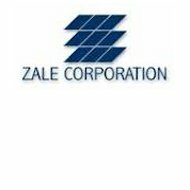 Zale Corporation stock is traded on the New York Stock Exchange under the symbol, (ZLC).